Woodcut (Lessing & Barritt 1853) of Indian village at Tejon, from one of several U.S. mapping expeditions of the period. 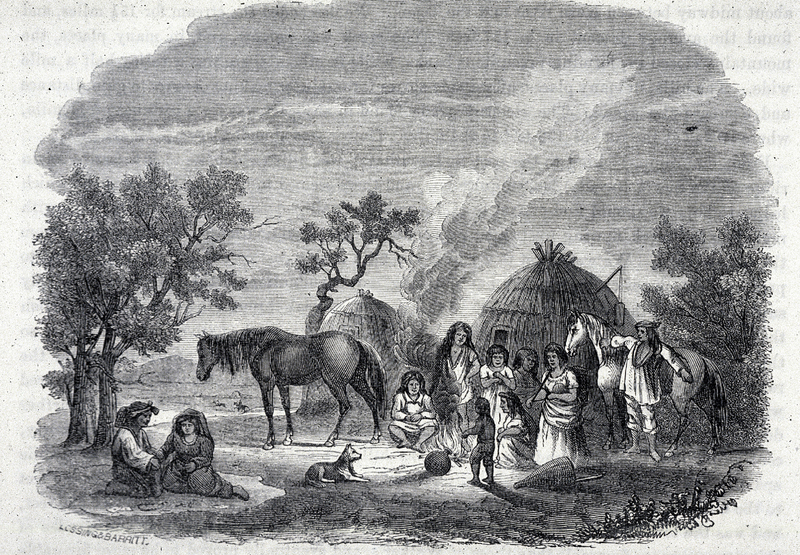 Although people lived in the Tejon area in prehistoric times, the term "Tejon Indians" generally includes people from other cultures who were brought to the San Sebastian Indian Reservation during more recent, historic times — in the 1850s — and their descendants who remained in the area into the early 20th Century. 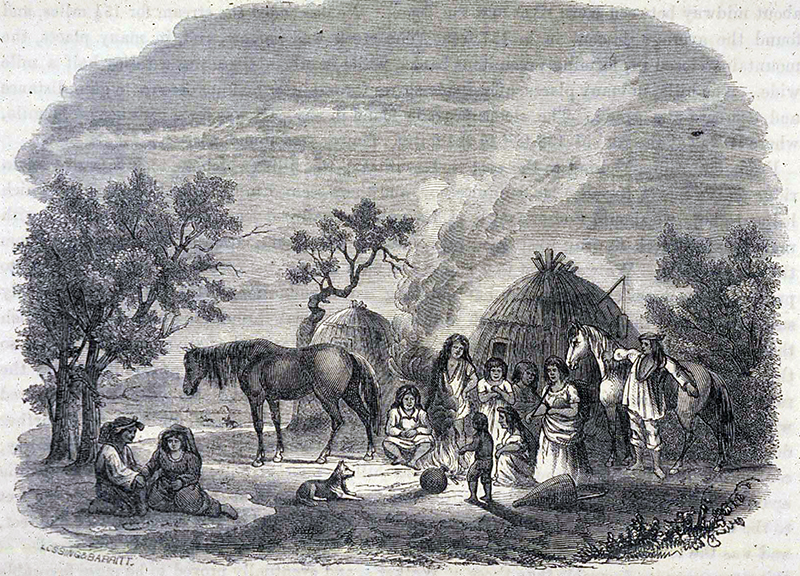 The 1853 woodcut was contemporary to the reservation when it was officially in existence (approx. 1852-1864). LW2382a: 2400 dpi jpeg from 96 dpi jpeg.